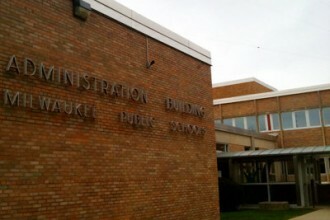 For my first blog with OnMilwaukee.com, I wanted to give some background of my views on our K-12 education system. I have been accused of caring only about public education and public schools. For that I plead guilty. I believe in the importance of the concept of “public,” which I define as affecting and pertaining to the community as a whole, being in the service of the community as a whole, openly accountable to the community as a whole, and supported by taxpayer revenue. In the sphere of education, “public” means free and substantial schooling for all students through the age of 18, equity of resources, serious and challenging intellectual work for every student, with a goal of educating students to become active citizens. Public also means protecting our children’s education from profiteers and zealots. So where do I stand in the vast Milwaukee education “eco-system”? 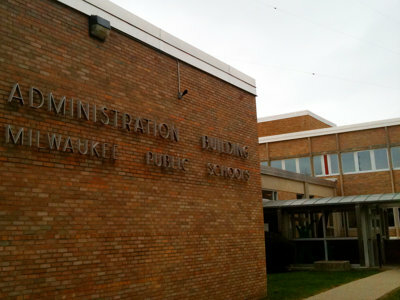 The resources of Milwaukee Public Schools are being drained as more and more students are being recruited to non-public entities, even though the alternative structures show no significant improvement in education outcomes. Instead of calling Milwaukee’s K-12 education arena an “eco-system,” it should be referred to as a “battleground.” Working cooperatively as a Milwaukee community is not on most people’s agenda. Fundamentally at stake is whether we will educate all students or instead select high-performing education for a minority of our children, leaving most to struggle through life without the means to reach the American dream. The practice of modern self-proclaimed reformers is to focus on the few through selection and de-selection processes. Start with vouchers. This program has been in existence for over 20 years and has only recently been required to make public its test results in order to be compared with Milwaukee Public Schools. Voucher students scored significantly worse than MPS students in math and slightly worse in reading. This is after two decades as an “experiment” at a cost to taxpayers of over $1 billion. Voucher schools are defined as private institutions and are not required to release data on suspensions and expulsions, staff pay, qualifications, demographics or graduation rates. Students can be expelled or asked to leave voucher schools for any reason. Voucher schools are independent institutions that have no oversight from a school board or agency of accountability other than the Department of Public Instruction. There is no guarantee that teachers are highly qualified. They are required only to have a college degree, not teaching certification. Non-MPS charters are given some of the same latitude. There is no unified administration or school board to ensure operational and educational integrity. Schools are individually left to coordinate, plan, carry out staff development and develop resources. The non-MPS charters can also remove students easily &ndash; students who, of course, must then be accepted by Milwaukee Public Schools. Look at the number of students with special needs in voucher schools and non-MPS charter schools and you will see far fewer proportionately than in MPS. Special needs students are the most costly and challenging students to educate. in San Jose, Calif., that claim huge successes. Yet at each of these three schools, there are fewer than 20 special-ed students, far less than the San Jose district as a whole that has a special-ed population of more than 12 percent. Why? Keeping the number of special education students below 20 per school means that special education is not considered as a subgroup required to make “adequate yearly progress” under No Child Left Behind. The practice of not serving special education students or forcing out low-performing students can produce the appearance of successful schools. KIPP charter schools, another national model referred to as “miraculous.” have been exposed for similar practices in their attempt to raise test scores. If “behavior problem” students and special education students, who often are challenged by standardized tests, are taken out of the equation, test scores for the school rise. But such results are hardly miraculous. If we are going to educate every child in Milwaukee, we must all take responsibility for all children and not allow as a fundamental practice, the selection and de-selection of certain students. That’s what it means to be a supporter of public schools.